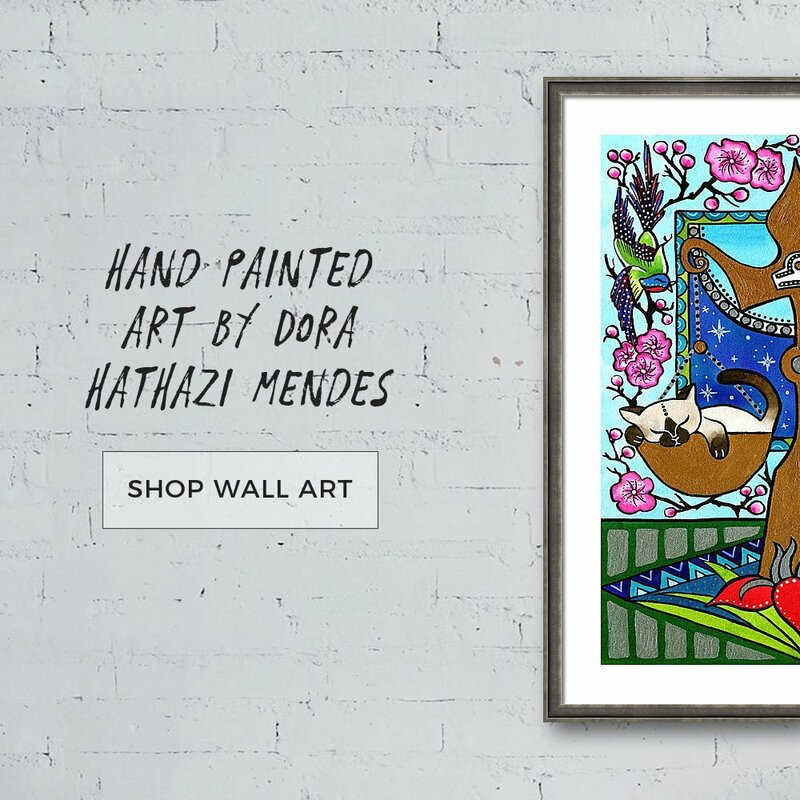 Cat Art titled Blue Cat with Goldfish by Dora Harthazi Mendes. I am proud to announce that my Cats of Karavella Zazzle Store got featured in the blog of Lucky Design World, alongside with other fantastic designers! Her article titled Creative and Chic Zazzle Store Round Up showcasing some of my bestseller designs, with a lovely description, that truly makes my heart melt. I am so happy right now, thank you so much Lucky Design World for the feature!